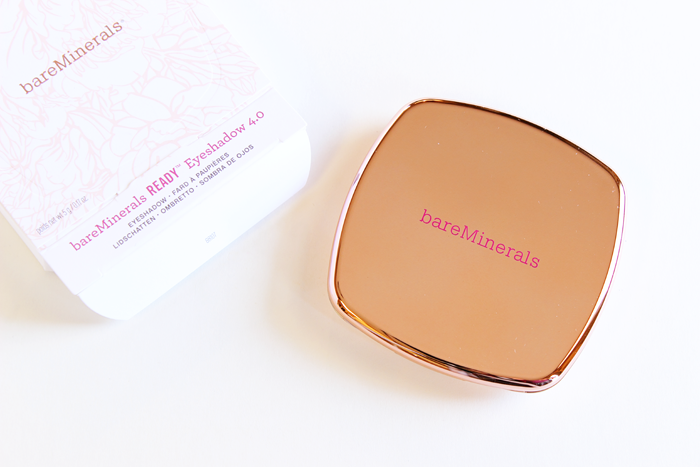 Isn’t the bareMinerals True Romantic READY Eyeshadow 4.0 so beautiful? I knew I needed this gorgeous quad the moment I first laid eyes on it. It really does have a soft, romantic feel to it. 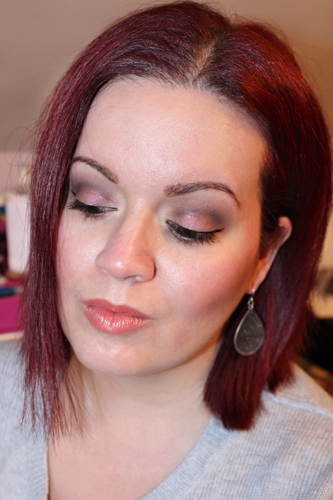 The eyeshadows are nicely pigmented. For some reason I thought they might be too sheer, but that wasn’t the case at all! I was pleasantly surprised. 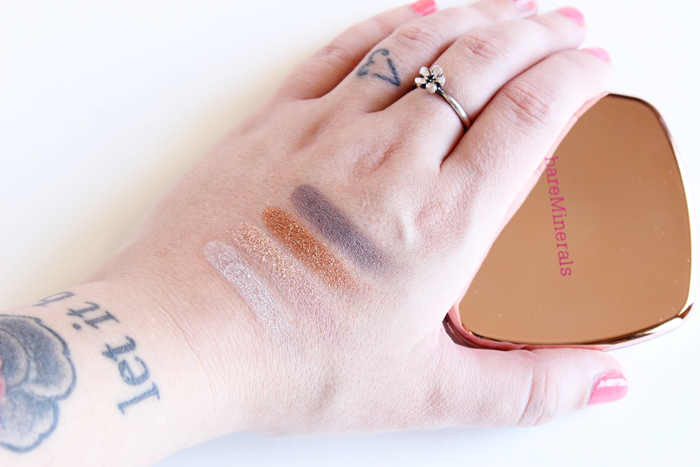 On top of being nicely pigmented the eyeshadows are soft and blended beautifully. 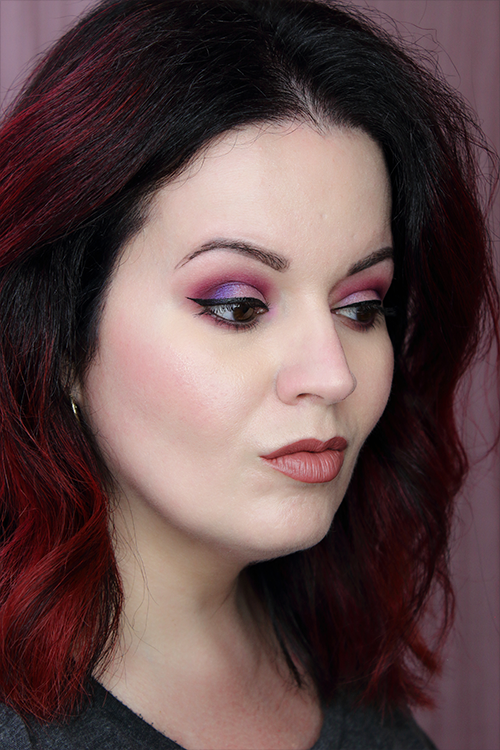 I created a simple look with this palette which you can see below. I’m wearing Woo Is Me on my lid, Love It on the inner corner of my eye and as my highlighter, Head Over Heels in my crease, and Louder on my lower lash line. I did have to build up Woo Is Me a bit, but it wasn’t so bad. 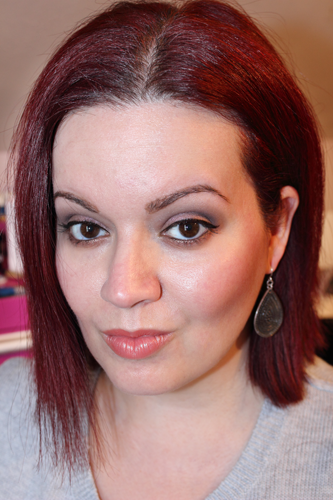 My look lasted about 9-10 hours before fading a bit, but I didn’t experience any creasing. 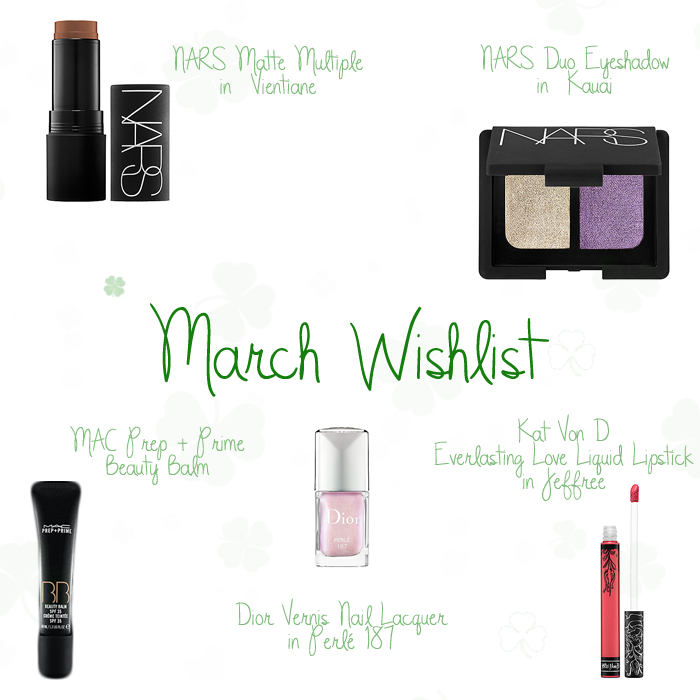 A modern matte multipurpose makeup stick for lips and cheeks that may be used wet or dry. This innovative formula—the next wave makeup artistry for lips and cheeks—delivers vibrant pops and sensual sunkissed modern matte hues for lips and cheeks. Used dry it delivers a burst of high-impact color; used wet, color melts into skin with an imperceptibly smooth, sheer finish. 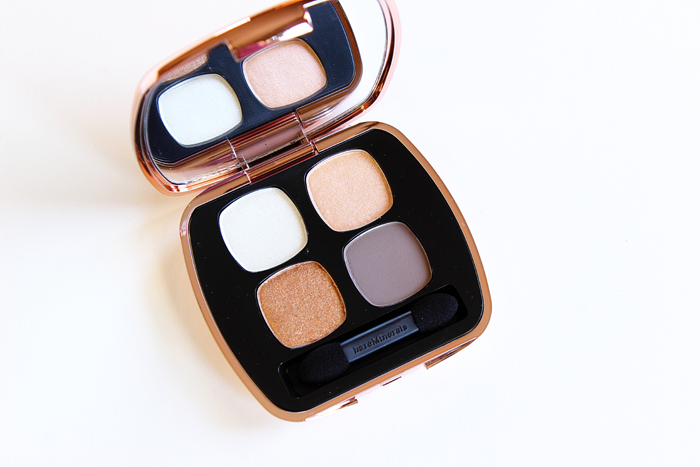 A mini mirrored compact featuring two crease-proof NARS eye shadows in modern, complementary shades. This long-wearing, crease-resistant formula is uniquely paired in dazzling and creative color combinations, expertly coordinated by François Nars. Worn together or alone, these shades are richly pigmented and can be applied sheer or built up for a more dramatic effect. Used wet, these shadows also double as eyeliners. A dazzling, chip-resistant nail lacquer. Dior Vernis Nail Lacquer will add a splash of luminous color to any look. The long-lasting, glossy formula goes on silky smooth and the vibrant shade adds a tantalizing touch to fingertips and toes. A long-wear, full-coverage liquid lipstick with a smooth matte finish. This innovative Everlasting Liquid Lipstick is infused with vitamins A, C, and E for added hydration. The next-generation formula gives lips long-lasting wear and high-pigment color with a smooth matte finish.